As much as it is a joy to travel around Sri Lanka one cannot help but notice the garbage strewn all over the place. What one actually sees are discarded tetra packs, empty biscuit packing and packings from other snacks. The familiar horror of siri bags that have flown all over the place is another sight and when taking a break from your drive, especially in the hill country and jungle areas, these bags can be seen hanging from the branches of trees or stuck in chain fences since the wind seems to be able to carry them quite a distance. Whilst travelling, another common sight most of us have witnessed is how people put down the window of the car and nonchalantly fling out food wrappings. The same goes for tri-shaws, lorries and probably other vehicles. Garbage also keeps piling up at picnic sites. Clearing the garbage and disposing of it in a responsible manner seems to be neither thought of nor heard of by the major part of our population. The effort some volunteers put into clearing the garbage filled beaches and other areas seems to be a thankless task as the next day the garbage builds up. It would appear that most of the population do not seem to give a hoot about the environment and also the efforts made by volunteers to maintain a garbage free environment. Education in the responsible disposal of garbage is very important and should be introduced in schools, beginning from the lowest grade. Elders too, hopefully, could educate their offspring by setting an example. Local supermarkets that sell alcohol clearly display notices that no bags will be provided for the purchase of alcohol and from what I have observed this has neither discouraged the purchaser nor resulted in a drop in sales. 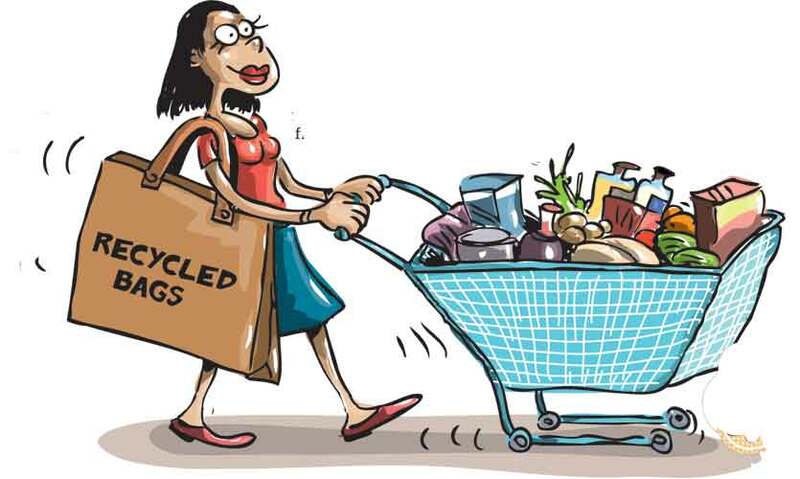 Therefore, it is about time the supermarkets extend this message to their other customers and stop providing siri siri bags and insist that the customers bring either their own recyclable bags or preferred receptacles to carry their purchases back to their homes. It will be a difficult task at first but with time the consumers will catch on. This happens in many parts of the world, be it a first or third world country. The local supermarkets sell recyclable bags, at a nominal cost, at the check-out counters and inquire from the customers whether they would like to purchase any. The provider of the green bags at a supermarket should ensure that the bags they sell have properly stitched handles or else only a very few things can be packed into each bag as the handles tend to give way. Public awareness is also very essential regarding proper garbage disposal and littering. Bad disposal of garbage leads to further ecological and environmental issues. All of us should take responsibility and it all begins at home. Education can be the most effective tool - more effective than policing - in changing attitudes about social and environmental issues. Some think education takes a long time to achieve results. It really depends on the approach. Propaganda on TV may or may not work; constant public engagement and provision of convenient recycling facilities will. Hopefully people can change their attitudes about the environment once they have a better understanding of the problems and the eco-friendly options available. Let us all remember that our daily waste is our daily responsibility.